New exciting Information on Porphyria & how you can help! Liver Fact: The liver is a storage site for a variety of substances. It houses supplies of glycogen as well as numerous vitamins like A, D, K, and B12- to be used months and sometimes years later! May you be blessed with happiness, good health, love and the delight of being with family and friends this wonderful Christmas and Holiday Season. The opportunity to serve you and your family during this past year has been a gratifying experience for us. Our staff and support volunteers look forward to meeting and assisting you throughout the upcoming Year. We wish You All a Happy, Healthy New Year! 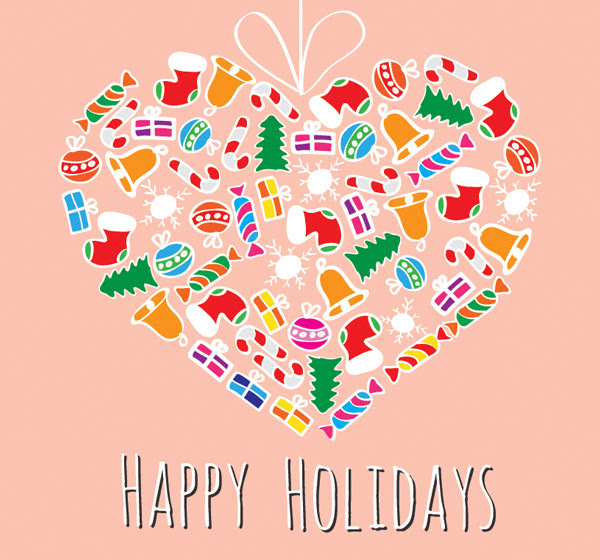 RareConnect wishes you happy holidays. All my life I have been an indoor kind of girl. I really didn't think I had much of a choice. Every time I went outside, I was in excrutiating pain. Before I was even old enough to know better, I would stay indoors. When I was about 18 months old, my mom took me to the beach near where we lived in Florida. Within a half hour, I started screaming. Nothing could be physically seen wrong with me until the swelling started. Then I turned purple, so when the doctors saw me, they said I had been stung by a jelly fish. It seemed logical to my parents. Months later the same thing happened and the doctors said it must have been caused by decomposed jelly fish, or maybe even an allergic reaction to the sunscreen. Each time it ended the same; me swollen and purple and the doctors not knowing the cause. As I got older, I learned to adapt by wearing certain clothing and staying out of the sun. If I was forced to go outside for some reason or another, I was very quick to spot the shaded areas so the pain could be lessened a bit. My clothing tends to look a bit extravagant, especially my Sunday dress. When I take a simple dress; add long satin gloves, big hats (always nicely decorated to match dress) and topped off with a parasol, people just think I'm an extravagant person. It's easier for me if they think that than have to explain to them that sunlight is painful. At work my co-workers call me the "vampire" because I work in a dark corner with all my windows covered. Any time I have to walk outside, I have on a big hat and gloves. For me my biggest frustration is that I only got my diagnosis in October 2005. I am a 28 year old woman who was thought to be crazy by everyone else—even doctors—until the diagnosis. I have been told that it was only in my head and that the sun could not be hurting me until my last episode. Last June, I was outside staying in the shade the entire time and again it was for only about 30 mintues. Even with my long sleeved shirt, my arms were stinging, my hands swelled up, my eyes swelled shut and every part of me that wasn't covered with heavy fabric turned purple. I spent a couple days crying in pain. One night during this period, I couldn't sleep so I got up and decided to watch a movie. It was about children who couldn't be exposed to sunlight. I watched the extra features and found there are a number of diseases that made sunlight painful. So I went on-line, researched them, and found the APF. They lead me to a dermatologist. I went to the only local dermatologist in my area. He then sent me to Vanderbilt because he admitted that my case was a bit out of his range. That doctor was wonderful. She talked to me, asking questions I never thought were relevant, like what happend when my gall-bladder was removed. And after a good long while, she looked up at me said, "We'll have to do some tests to make sure, but I bet the farm it's porphyria." Then after all the blood tests came back, she knew she was right. I had EPP. If I could have hugged her through the phone, I would have. To finally have a name for what's wrong with me, know that there are others out there like me—and know that I'm not crazy—was a real relief. Since my diagnosis, I have been involved in seminars at Vanderbilt about rare skin conditions and diseases. They also want me for the liver seminars in the future. I gladly volunteer to help spread some light on this disease that so many doctors know nothing about, so maybe someone else in the future can have a quicker recognition of their condition than what I had. In this webcast, Eric Gross, MD, describes the gastrointestinal, neurological, cardiovascular, and urologic symptoms of AIP. He explains the precipitating factors that may lead to an AIP attack and also outlines the diagnostic pathway and the commonly used tests to screen for AIP. Dr. Gross is a faculty physician in the Department of Emergency Medicine at Hennepin County Medical Center, Minneapolis, Minnesota. He is also a professor of emergency medicine at the University of Minnesota Medical School. Were so glad to have you here. Who ever signs up to the Purple Light Blog and is the 100th person will receive a gift from the APF. So what are you waiting for who's going to win? 100 million American adults live with chronic pain. That's more than cancer, diabetes and heart disease combined. According to the Institute of Medicine, the high prevalence of chronic pain suggests that the condition is not being adequately managed. Undertreatment of chronic pain creates large costs to the healthcare system and the U.S. economy; we spend more than $560 billion in the U.S. each year on chronic pain-related healthcare costs. Moreover, chronic pain can carry significant physical and emotional burdens. Pain Matters premieres on November 16 and airs again on December 7 and 14. 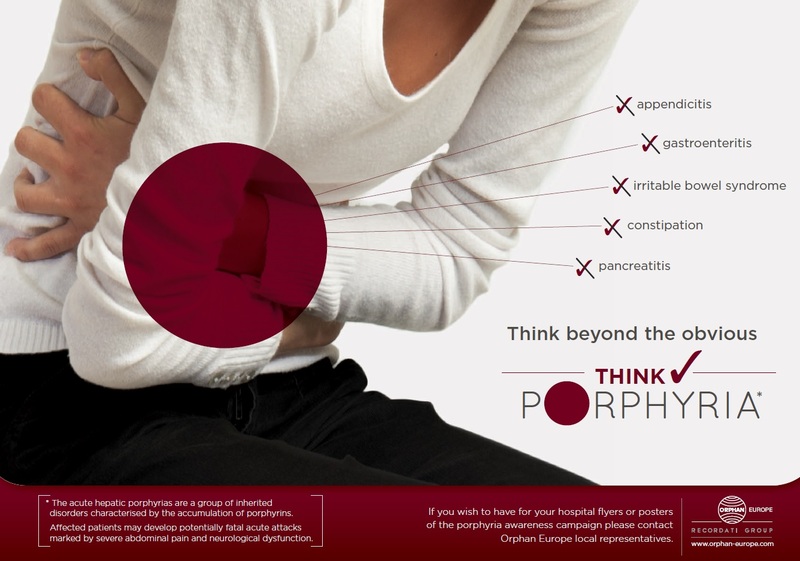 If you have not done so already, please join the Porphyria Registry. Joining the Porphyria Registry is crucial in determining the incidence of Porphyria in the United States. SUPPORT Rock n Roll Race for EPP! 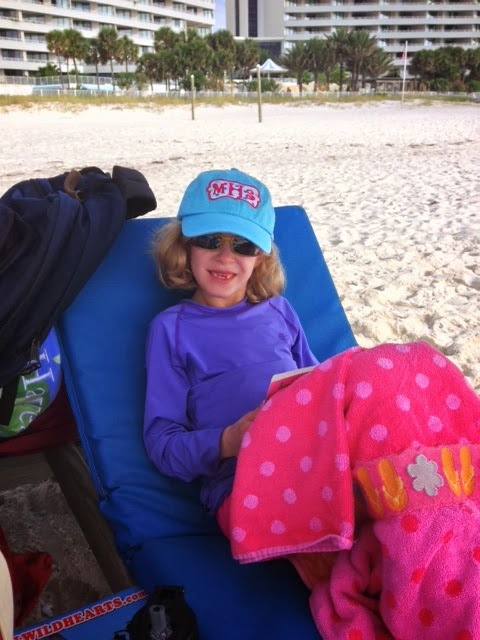 My wonderful daughter at the Beach all covered up because she has a rare disease called Erythropoietic Protoporphyria (EPP) or Protoporphyria she must keep covered from head to toe so she does not get sick. What a good sport she is. Thank you for visiting my fundraising page for the American Porphyria Foundation! I am raising awareness for my wonderful Daughter that has a rare disease call Porphyria~ EPP! I hope that family & friends will all take a few minutes to donate it goes to "Protect the Future and Training more Doctors" to become aware of this rare disease. Donating through this website is simple, fast and totally secure. It is also the most efficient way to support my fundraising efforts. You will also be able to donate any amount and receive a print out of your donation for tax purposes. Everyone is invited to participate & donate for this wonderful cause, PLEASE sign up TODAY all funds go directly to the American Porphyria Foundation. ANN ARBOR, Mich. — A low level of daily exposure to a common component of sunlight can cause skin damage at the molecular level after just a few days, new University of Michigan Medical School research shows. The findings highlight the need for better sunscreens to protect against these damaging rays, and prevent the process that can cause skin to look old, wrinkled and sagging prematurely. In a new paper published online in JAMA Dermatology, the researchers show that damage starts after just two daily exposures to a low amount of ultraviolet A1, or UVA1, light – which makes up most of the UV light we are exposed to throughout the day, and tanning bed light too. Very few of the ingredients in sunscreen products effectively protect against UVA1. The damaging process kept going after further daily exposures. By showing that repeated exposure to the type of UVA1 light that we typically experience on a sunny day causes these damaging processes in the skin, the researchers hope it will lead to the development of new protective ingredients in sunscreens, and more caution about routine sun exposure throughout the day. The study was done by a team from the U-M Department of Dermatology's Photobiology and Aging Skin Research Program, and funded by the National Institutes of Health. The researchers were able to measure the effects of UVA1 at the molecular level using advanced gene expression analysis of skin samples from human volunteers. The researchers shined a low level of pure UVA1 rays, as might be encountered in daily life, on small areas of 22 volunteers' buttocks. A day later, they measured changes in skin pigmentation. Then, they took tiny samples of skin, in order to detect which genes had been 'turned on' by the light exposure. They repeated this process three more times on each participant. After just two exposures, UVA1 rays caused skin cells to make molecules that break down the protein called collagen, which makes skin firm, smooth, and youthful in appearance. The UVA1 also caused the skin to darken a little with each exposure, but this tan didn't protect against further production of the collagen-destroying molecule, called matrix metalloproteinase 1 or MMP1, when the skin was exposed to more doses of UVA1. "Premature skin aging from UV exposure has gotten a lot of attention in the last 10 years, but most researchers have focused on UVB rays, which cause sunburn," says first author Frank Wang, M.D. "But there is very little UVB in sunlight, and most UVB exposure is at midday. During the rest of the day it's mostly UVA, with UVA1 being the majority. UVA1 is also the main component of tanning booth light. So, we wanted to look at whether it can predispose skin to premature aging by simulating repetitive daily exposure. And we found that it can. Furthermore, the mild tanning that occurs does not seem to protect against damage from additional exposures." The study exposed the fair-skinned volunteers in a repeat manner to the amount of UVA1 they would receive in about two hours of strong sun exposure. Statistical analysis showed the pattern of MMP1 production increased progressively with repeated exposure in the majority of patients. A medical dermatologist and assistant professor of dermatology, Wang notes that he often observes the collagen-damaging effects of repetitive sun or tanning booth exposure -- with people in their 20s and 30s coming in for other conditions, but with clear signs of premature aging to their skin. The U-M researchers, led by senior author and lab director Gary Fisher, Ph.D., the Harry Helfman Professor of Molecular Dermatology and Professor of Dermatology, have previously shown similar changes in skin cells from other types of UV light – including UVB. However, in contrast with what the researchers had seen with their UVB experiments, the repeated UVA1 exposures didn't suppress the genes that make the molecules that become collagen. The bottom line, they say, is that the new findings suggest a need for new sunscreen ingredients that can protect against UVA1 rays. Currently, only zinc oxide and avobenzone are approved by the U.S. Food and Drug Administration as sunscreen ingredients capable of blocking UVA1. Window glass, and most clothing, also don't necessarily filter out all UVA1. Because UVA1 light from the sun reaches the surface of the earth whenever it's light out, the new research suggests that sunscreen with UVA1-blocking components could be useful throughout the day, not just during the peak sunburn hours of late morning to early afternoon, when UVB is most intense. Though the current study didn't assess the impact of UVA1 on genetic changes that can lead to skin cancers, other forms of UV are firmly linked to most types of cancerous skin lesions. Global Genes | RARE Project and a host of partners are proud to continue our RARE Webinar Series, a series of educational webcasts this year on relevant and timely topics that should be of interest to the RARE community. With World Rare Disease Day right around the corner (February 28th, 2014), this session will explore event ideas to create awareness for your specific rare disease as well as the entire rare disease community as a whole. I would encourage you to register and join the discussion. I would also ask that you send this email along to your community and rare friends that might also be interested in the topic. In 1984 I was hit by a car, and after more than 22 surgeries, nothing has ever been the same. In 1986, I started having problems with ringing in my ears, extreme hearing fluctuation and visual distortions. The symptoms led to a diagnosis of Meniere’s disease in my right ear in 1986. In 1990 I was diagnosed with Autoimmune Disease, which supposedly had caused the loss of hearing in my left ear. At that time my doctor tried, without success, to treat me with chemotherapy. There was a break in the treatment long enough for me to give birth to my son. I stayed miserably sick during the four long years between chemo and pregnancy. I was finally taken off the chemo treatment after it had eaten my bladder lining. My appendix was removed unnecessarily while visiting an ER for extreme stomach pain. Actually, I have been to more ER’s with abdominal pain than I can count, but other than the time my appendix was removed, there was never any clue as to what might be causing the pain. Over the years I’ve heard such explanations as “It’s just a bad case of gas” to “There is nothing wrong with you!” There were times when I would pray and beg for death, times when I would be so mentally impaired that life had no other meaning cruel harsh hopelessness, times when I could not get out of bed, and times of loneliness when no one could understand what I was going through. I was finally diagnosed with porphyria two years ago, after being trapped for six hours in a public restroom with severe abdominal pain. I cried out for help to my latest primary care physician, and something clicked for her like it had for no other doctor in my life. After completing two 24-hour urine tests and not knowing what my physician was looking for, I was called into the office and given the diagnosis of Acute Intermittent Porphyria. My name is Tonya; I was born in Tennessee and raised in Alabama. I am 42 years old and have no known family medical history, as I was adopted at age four. Before I was diagnosed with AIP, I had never heard the word porphyria. However, I have always known that I was “different.” Even before my porphyria diagnosis, I had many other medical diagnoses on which to blame my strange and many symptoms. Although the symptoms never really matched the diagnosis, I had the answers, or so I thought. In these two short years, I’ve not only learned how to pronounce the word, but I have also learned much about what makes my attacks become active. I still continue to have days and nights where my world is upside down, my pain is unbearable, I can’t complete a simple task and loneliness is my constant companion. However, I have gone through the phase of “What is Porphyria?” and the phase of “What does it mean for me?” I am now entering the phase of, “What can I do to help others?” If you would like to contact me in regards to porphyria you may do so by writing to:TCL4U2@aol.com. Dr. Herbert Bonkovsky, director of the Liver, Digestive and Metabolic Laboratory at Carolinas Medical Center. Consuming herbal and dietary supplements for body building or weight loss can lead to serious and sometimes irreversible liver disease or even death, according to a recent study co-authored by a Carolinas Medical Center researcher. Dr. Herbert Bonkovsky, director of the Liver, Digestive and Metabolic Laboratory at CMC, said people should be careful about taking supplements, which are not regulated as strictly as drugs by the federal Food and Drug Administration. “There needs to be tighter scrutiny and oversight concerning the distribution of these supplements so that consumers understand the dangers associated with them,” Bonkovsky said. Bonkovsky and his colleagues presented their research in November at a meeting of the American Association for the Study of Liver Diseases. It was the largest study of its kind conducted by the national Drug-Induced Liver Injury Network, also called DILIN. The network was created in 2004 to advance research into liver injury caused by prescription and non-prescription medicines, which is the most common cause of acute liver failure. Bonkovsky, a member of the network since its inception, said researchers have enrolled more than 1,000 patients with “all kinds of liver injury due to drugs.” That does not include acetaminophen, a common drug sold under brand names including Tylenol. Acetaminophen is “the 800-pound gorilla when it comes to liver injury and fatalities, eclipsing all other causes,” Bonkovsky said. About half of all liver failure is caused by acetaminophen. The damage often occurs when someone takes an overdose or when people taking multiple medicines accidentally consume an excessive amount of acetaminophen. DILIN research has focused on other drugs, including herbal and dietary supplements, which are regulated as “foods” instead of drugs by the FDA. From 2004 to 2006, such supplements accounted for 4 percent to 6 percent of liver injury cases. But in the past two years, that number has grown to about 16 percent, Bonkovsky said. Research subjects who reported taking supplements for body building were all men, and most were taking anabolic steroids, he said. The next most common reason for taking supplements was to lose weight. Most of those patients were women taking fat burners, such as green tea extract. Body-building supplements included certain Oxi-Elite Pro products that were recently recalled by USPlabs after being linked to liver illnesses in Hawaii and other states. One person died, another received a liver transplant, and others are awaiting liver transplants in connection with illnesses induced by the supplements, according to WebMD. If you have any questions about this post please feel free to read more about Dr. Bonkovsky An APF Expert Doctor. 866-apf-3635.